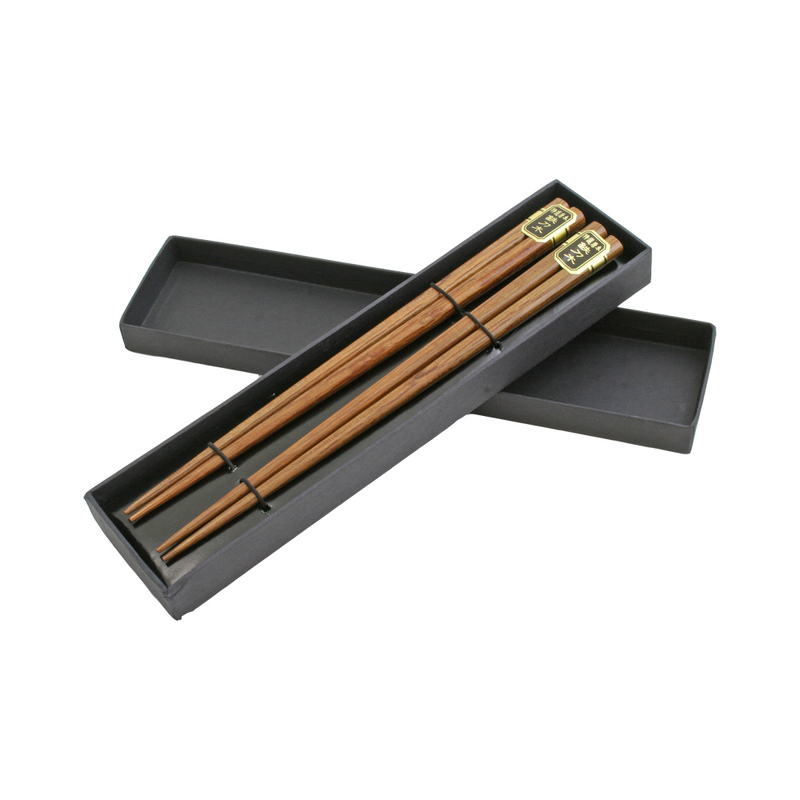 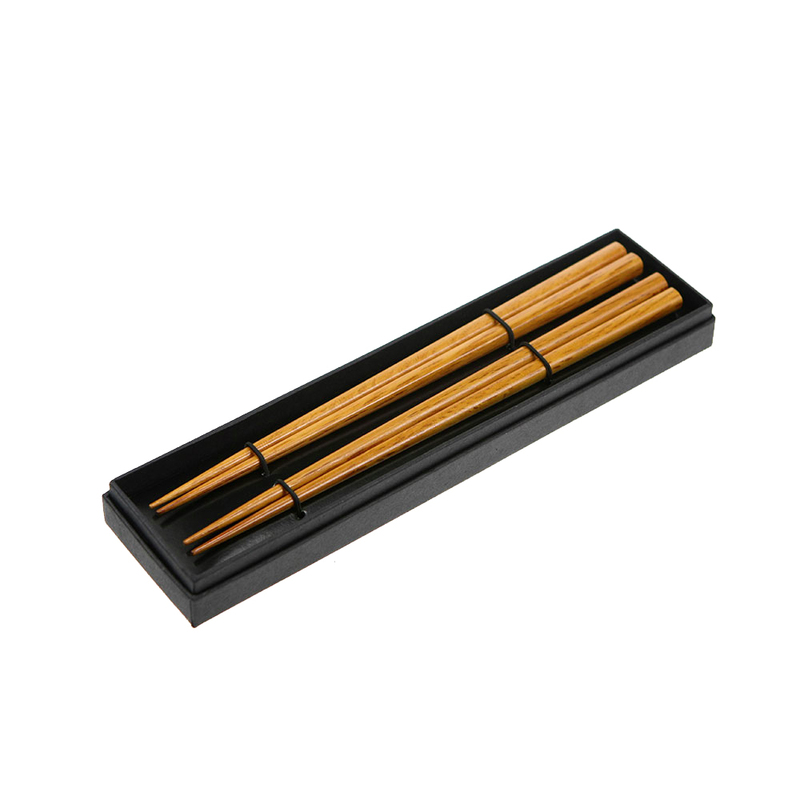 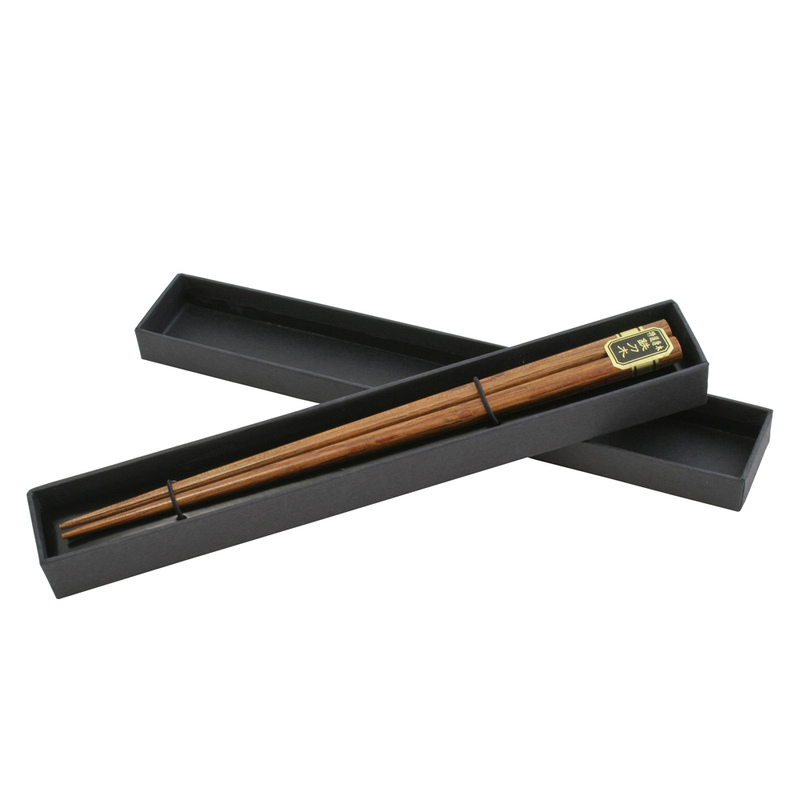 Two sets of bamboo chopsticks in a black presentation box. 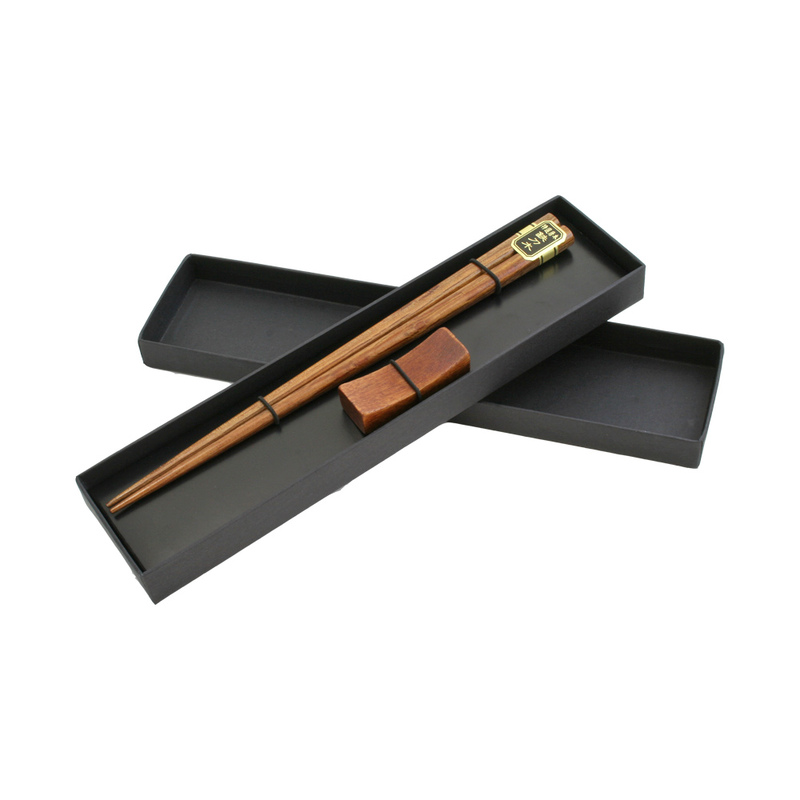 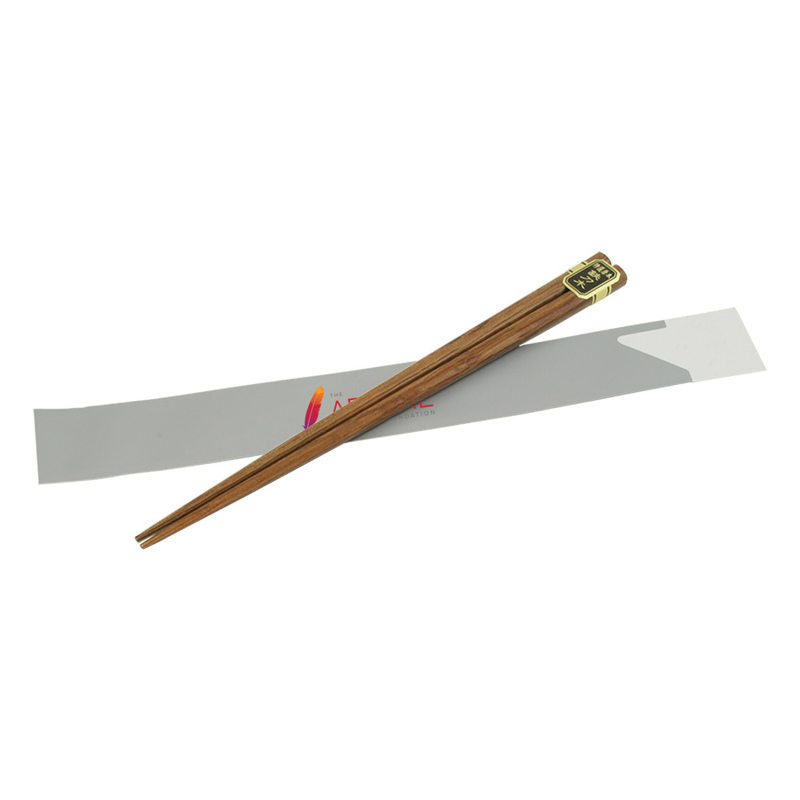 The chopsticks are made from quality wood for a quality look and feel. 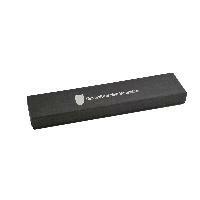 Set comes in a black cardboard box.